Realtime CPU graph showing the current CPU load. 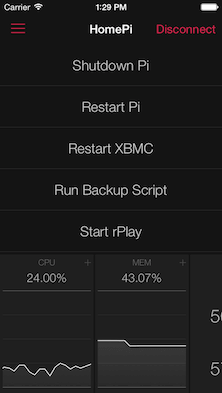 If you need to see detailed CPU stats for a specific process running, jump into CPU details to see them all. Realtime memory consumption graph. For in-depth information on cached, active, inactive and swapped memory, jump into memory details. Current temperature of your Pi's CPU and GPU. 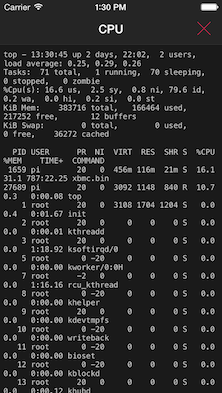 Overview over free space on your root disk. 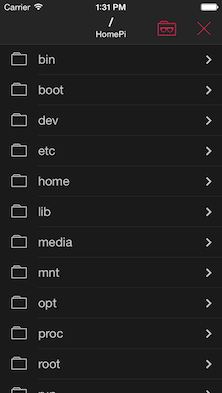 Dive into the file browser to view and export files. 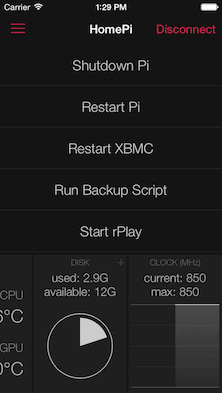 See current and maximum clock of your Pi. 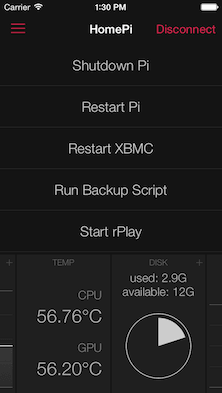 With a single tap, execute a command on your Pi. Write your own commands and manage them in groups. Possibilities are endless! View and export command results automatically when finished or take a look at them later. Get predefined scripts from the Script Library. Everyone can contribute his favorite scripts easily via github. Connect to your Pi using private key or password. It's up to you! Import private and public keys via iTunes or from other apps (i.e. "Open in"). Don't be forced to use port 22. We take them all up to 65535. 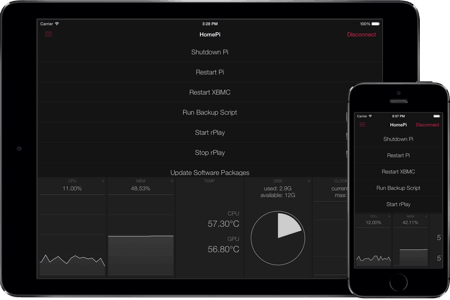 SimplePi is a universal app and comes for both iPhone and iPad.